Following Wednesday’s terrorist attack in London, Rome has tightened security, including increased numbers of security staff and a ban on drones. The Italian capital will host celebrations for the 60th anniversary of the Treaty of Rome on March 25. 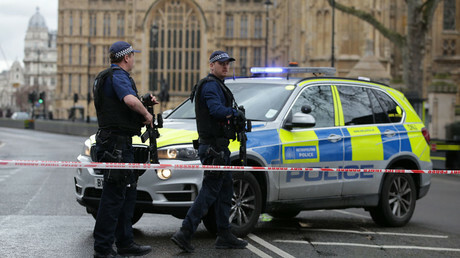 On Thursday morning, less than 24 hours after the gruesome assault in London which left five people dead and 40 injured, Italian politicians called an extraordinary meeting of the country’s counter-terrorism analysis committee (CASA). It has been decided that in order to prevent scenarios similar to the tragedy in London, Italy will ramp up security, especially in Rome, for the upcoming weekend. “Italy will further strengthen checks in areas with large influxes of people. All the police and intelligence officers will be engaged non-stop in the anti-terrorism front, in order to identify every source of possible risk,” Interior Minister Marco Minniti said following the meeting, as quoted by The Local. On Saturday, March 25, Italy will host 40 European heads of state and government representatives to celebrate 60 years since the signing of the Treaty of Rome. In 1957, the agreement in question established the European Economic Community (EEC), which later gave rise to the European Union. As part of the newly imposed security measures, Rome’s major tourist attractions, including the Colosseum and the Roman Forum, will be closed at 7pm local time on Friday through Saturday night. The areas around the City Hall and the Quirinale Presidential Palace will be cordoned off, as well as a number of other locations. The city has been divided into zones, with each of them having their own security level – some will only allow residents in, and only after they pass security checks. In some of these zones, all parked vehicles have to be removed by 7pm on Friday. No civilian drones will be allowed in Rome over the weekend, as police drones and helicopters will be monitoring the city. Large vehicles, including trucks and vans, will be banned from entry into zones where celebrations will be taking place. A total of 5,000 officers from across the country will be guarding the city for the next two days, some of them undercover officers in civilian clothes, local media reports. All servicemen were advised to carry their weapons with them, even when off duty, and use protective equipment. 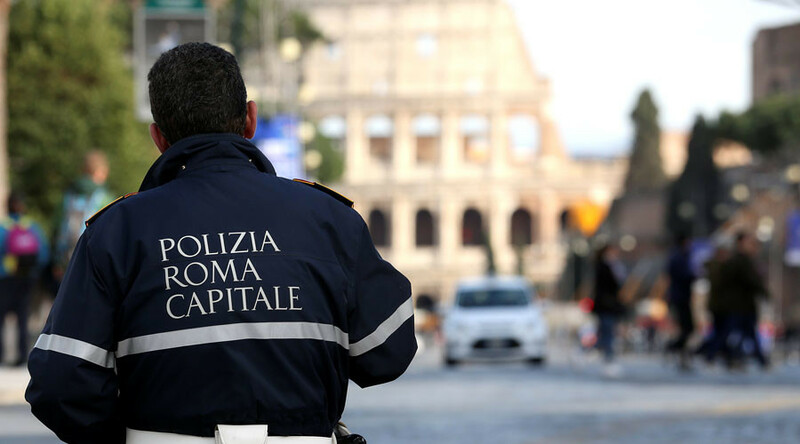 Police have set up about 40 checkpoints to carry out traffic control, as well as installing 100 additional CCTV cameras around the Italian capital. On Thursday, officials also decided to introduce a special force which will monitor ‘suspicious’ online profiles, intercepting and decoding messages referring to terrorist activity or other types of disturbances in the Italian capital. The taskforce will be assisted by police in other EU states, which will also monitor and share any suspicious content with reference to Saturday’s celebrations. The threat of terrorism in Italy currently stands at level 2, which is the highest possible threat level unless the country is in a state of war. Apart from aiming to foil a possible attack, all the new measures aim to oversee the anti-EU protests and demonstrations planned for the weekend amid the celebrations.